Well it is that time of year again when the cruise ships from the North start making their way down South for our summer. Over 50 ships due to call at Auckland over the next six months. 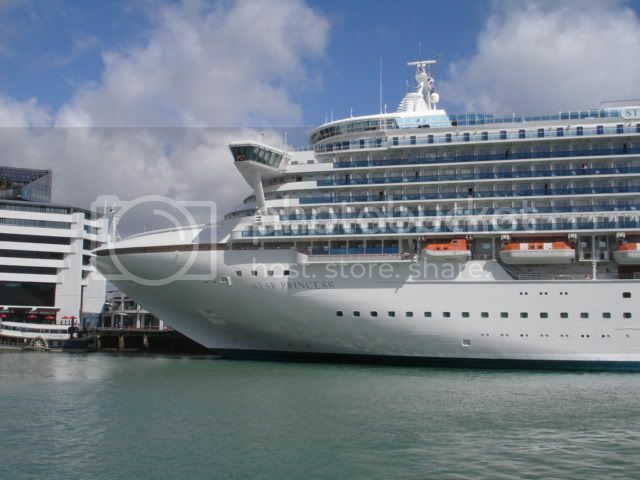 The first arrived today - Star Princess. The oiler alongside is brand new having been commissioned a couple of months ago specifically for port re-fueling. Big news just announced - P&O to base a cruise ship in Auckland year round 2010 - Pacific Pearl - which is one of the Regal Princess class of ships. So at least cruising is surviving the recession. Isn't this the one that we all thought looked like some playtoy for a giant...complete with carry handle??? …but they look much the same….and I’m delighted you remembered the description! 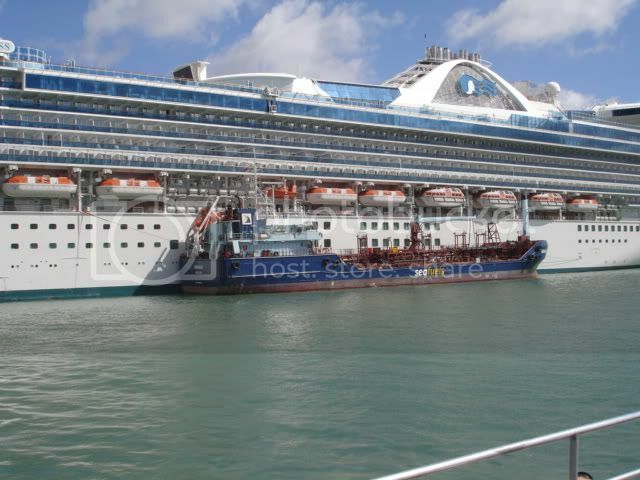 JO - you are right it is the humpback ex Regal Princess. I cannot decide if the ship looks like a shopping cart with the handle in back, or if it is a ship with a towel bar stuck to it's rear. 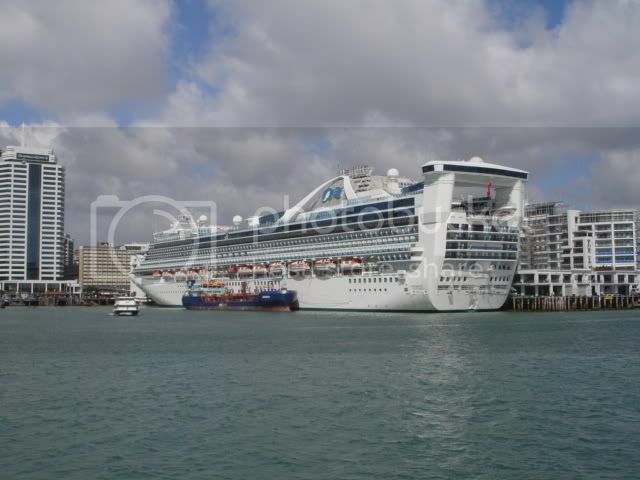 Well as our first ship of the season makes its way around the coast - Star Princess has encountered some nice winter weather - today they are in Dunedin and the temperature at Noon is just 8 degrees c - no sunbathing on deck today. I imagine the local shops are doing a roaring trade in winter clothing. 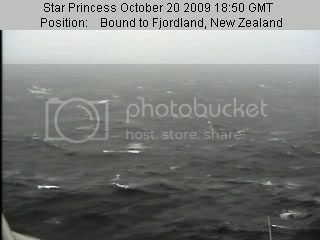 Tomorrow Star Princess enters Milford sound - lets hope for some great webcams pictures. Not such a good day for Star Princess - it might improve. A grey windy day - perfect to linger in the bar a little bit longer. Yes you are right - I do not think they made it into the sounds - a shame. But in that part of NZ it basically rains every day.